Donate now to make a difference in the lives of Georgia High School Theatre Students! Want to join us in making a difference in the lives of Georgia High School Theatre Students? 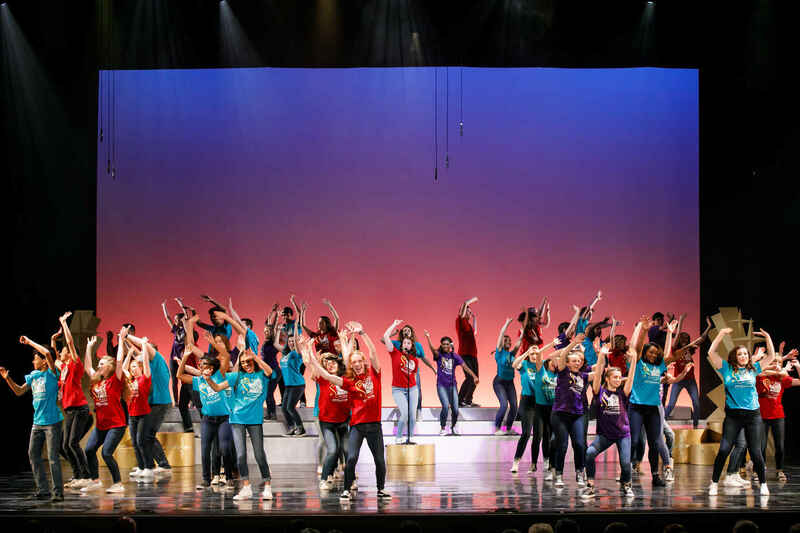 The ArtsBridge Foundation is raising money for the 2019 Georgia High School Musical Theatre Awards - Shuler Hensley Awards! Fashioned after Broadway's Tony Awards, the Awards are named in honor of actor/singer and Georgia native, Shuler Hensley, winner of the prestigious Tony Award, Outer Critics Circle Award and Drama Desk Award. The program embodies a spirit of camaraderie and celebration for the arts in high schools across Georgia. Atlanta's Cobb Energy Performing Arts Centre provides a beautiful, state-of-the-art home for the Shuler Awards. The Shulers are a part of the National High School Musical Theatre Awards – The Jimmy Awards®. And we are proud to announce that the 2017 production won the 2018 Southeast Emmy® Award for "Special Event Live Coverage." The cost to put this incredible production annually is upwards of $200,000! This is due to the amazingly talented cast of more than 500 students, 60 professional television and stage crew members, and an orchestra of live union musicians, all televised on Georgia Public Broadcasting. For more information, please contact Sarah Clay Lindvall at 770.916.2808. Arts Education is not a one-person job. Supporting dedicated students in their love for theater is a very worthwhile cause. I am excited to see how the Shuler Awards has impacted so many students, and how the program continues to grow. This program has made such a difference in the lives of Georgia's High School performing arts students and I want to support this amazing celebration! The Shuler Awards show gives all of these talented kids a chance to shine and we look forward to the show every year! Thank you for providing this amazing event for our kids. Wishing everyone a good show! Happy to support this outstanding organization committed to arts education. We love these awards! All the kids are so amazingly talented. I have two brilliantly talented musical theatre sons, and all their amazing friends to support! Musical theatre makes everyone happier!